Ken will be taking the position of Senior Account Executive focused on the promotion of the luxurious 56 passenger Irizar i6 motor coach for the Eastern United States. Ken has deep experience in the industry and believes in the development of win-win partnerships as well as always remaining very close to his customers; principles that are closely aligned with the core values and brand of Irizar. Mr. Carchidi will be based out of Philadelphia, PA and be extensively involved with the development of the aftersales service center and support network that is under development for Irizar USA. 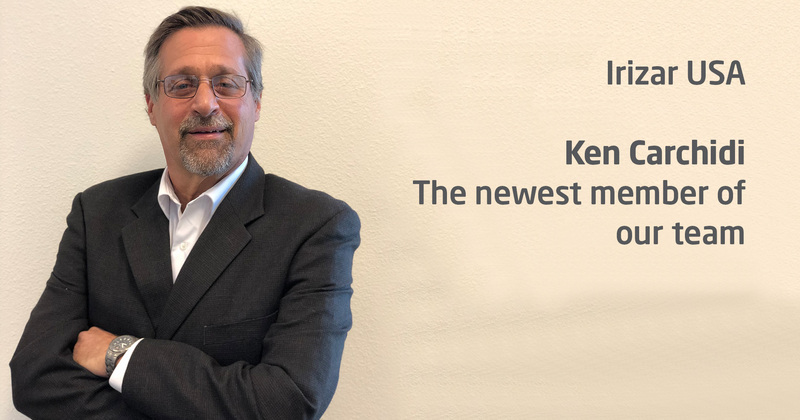 The leadership team at Irizar USA is very excited to welcome Ken to the team and looking forward to future announcements in the coming months. Irizar USA is the exclusive distributor of the Irizar i6 motor coach, an integral chassis design in stainless steel, 3 axle motor coach manufactured at the headquarters and main production facility for Irizar in the San Sebastian region of Spain. The Irizar i6 features the Cummins ISX engine and Allison B500 transmission. The exquisite lines of the Irizar i6 both inside and out offer operators a luxurious motor coach with European curb appeal and modern, elegant interior appointments. Most current owners of the Irizar i6 are repeat customers, demonstrating a high level of customer satisfaction. As Irizar USA is now evaluating 3 years of key performance indicators with Irizar i6 units in operation, the field data reporting is proving out the durability and performance of the Irizar i6 that is a direct correlation of the experienced craftmanship of Irizar manufacturing. Irizar is an international company headquartered in Spain with 130 years of history and a world class leading bus manufacturer. Irizar employs over 3,500 team members and operates from their 5 manufacturing facilities that are in 5 countries, selling around the world with over 40,000 coaches in operation. Recently they were the recipient of the coveted Coach of the Year award from Busworld ®, the largest trade show in the world for motor coaches that is held every other year.